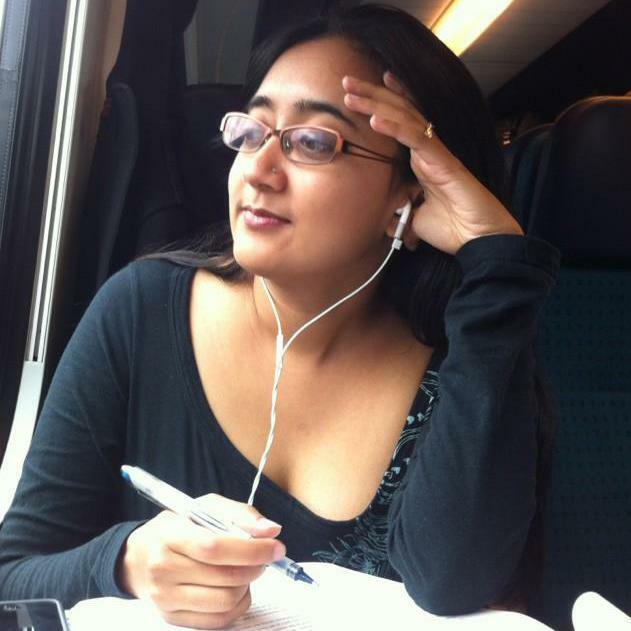 Anindita is a writer, educator, book addict, geek, and occasional dog rescuer. Formerly: VCFA, BU Poetry, MIT Media Lab, and Wellesley. I'm Anindita. I'm a doctoral candidate at the University of Neuchâtel's Institute of English Studies where I study place and poetics in twentieth century American literature and teach undergraduate creative writing. Currently I'm working on Mapping Bishop, a digital humanities project that is now in public beta. In this project, I am pulling together material from multiple sources to create a single map and timeline of Elizabeth Bishop's travel and writing during the early 1950s. In 2016 I co-created and launched Summer of Darkness, an iPhone/iPad app that tells the story of Byron and the Shelleys in Switzerland, when Mary Shelley began to write Frankenstein. The app is a digital humanities project that performs an archive of material in "real" time 200 years later. I'm also a young adult writer who's represented by Caryn Wiseman of Andrea Brown Literary Agency. You can find out more about me on Twitter. For more information on my academic or professional background, check out my LinkedIn. © 2019 Anindita Basu Sempere. Powered by Jekyll & Minimal Mistakes.